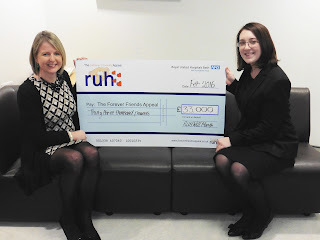 Solicitors raise a fantastic £33,000 for The Forever Friends Appeal supporting the RUH! Awdry Bailey & Douglas Team (Devizes and Chippenham offices) alongside other participating solicitors took part in The Forever Friends Appeal last September “Make a Will Month” by waiving their legal fees in order to help raise monies for Royal United Hospital in Bath. Collectively, they raised the fantastic sum of £33,000. 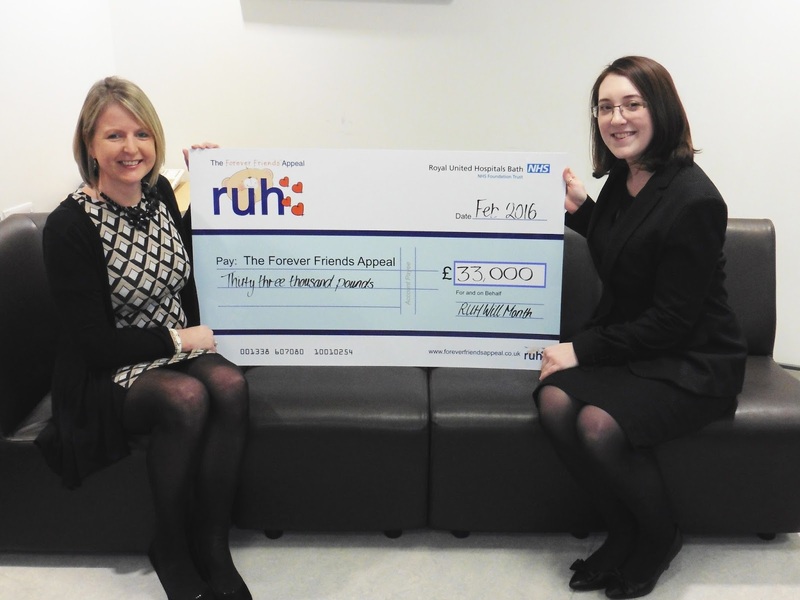 Jan Witt, Legacy Officer for The Forever Friends Appeal said: "We are very extremely grateful to the solicitors who came on board to support us and we are absolutely delighted with the success of our first ever RUH Will Month scheme. All the solicitors worked extremely hard to help as many people as possible to get the protection of a proper Will drawn up. The success of this fundraising is a testament of their sheer hard work, together with the generosity of the public who came forward to have their Wills written under the scheme. We would like to thank each and every one of them." The Royal United Hospital’s charity, The Forever Friends Appeal, provide a vital service to help improve the hospital’s environment, providing additional medical equipment, facilities as well as the finishing touches and extras that help care for patients more effectively, together with its ongoing research and development. Does the new Care Act mean you need to know more about this country’s elderly care system and the funding options available?